I know, I need another commitment like a hole in the head, but nevertheless I have just signed up for the 2013 round of the Crazy Quilt Journal Project. For the past year I have been admiring all the work that was done in CQJP 2012, and I couldn't let it pass me by this time. ...and I have never made one project from any of them! 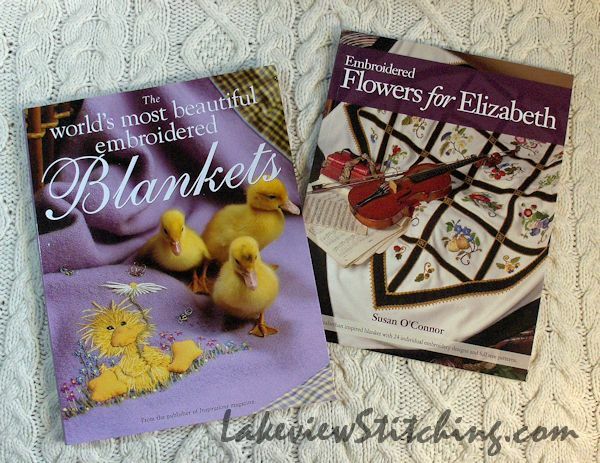 I haven't made a crazy quilt either, so this will be two birds with one stone. Well, three birds, because I've been wanting to a make a wool quilt too. I hope to make it a sampler of as many techniques as I can fit in. 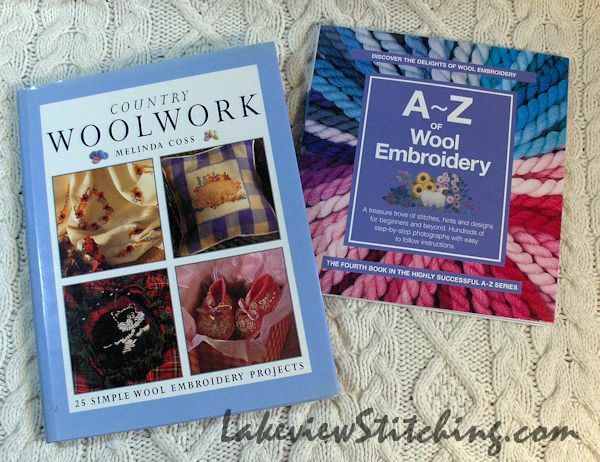 Different types of wool embroidery, some needlepoint on waste canvas, wool felt applique... and I'll use up some of those perle cottons I bought too. Dark, neutral fabrics, bright embroidery. I want it to be a useable size for a throw, so my plan is to go big - 16 x 16" square blocks. A little primitive, big and chunky. I have loads of navy wool suiting that I never had time to make into suits when I was working, and which will be perfect for some sashing between the blocks. I think weight will be an issue with this quilt, so I will not quilt it, just back it and put in a few ties. I also think it will be wise to avoid buttons and beads for this project, for the same reason. I really like your idea. The navy wool suiting is surely a way of beating swords into ploughshares - fantastic. So pleased to read that you will be taking part in the challenge! Thanks, Diane. It should be fun! Can't wait to see what you come up with Monica. LOL, me too, Katherine, me too! Monica, I have started a blog of my own. I thought you might like to visit: http://adamsmaryellen.blogspot.com/. Thanks for letting me know, Mary Ellen! Your blog looks fantastic, I love the background you are using. And an excellent name! Great job! The background is one of my East Quilts West blocks. A bit busy, but I like the colors. Thanks for looking (and joining)! The wool is enticing, isn't it? 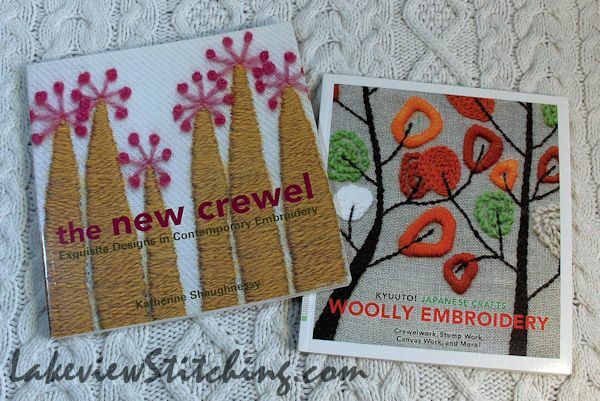 I also have "the New Crewel". It's so much fun to see old techniques made new again with present day designs. It will be great to see your CQJP 2013 take form and progress. I'm glad to see you are giving it a go this year.